Energy Management Coordinator Brian Pine has announced the completion of a New York Power Authority (NYPA) grant-funded project to install hundreds of insulation jackets in mechanical rooms in 25 buildings across the SUNY New Paltz campus. Offsetting energy costs: Installing the jackets offers immediate energy usage reduction, estimated at about 500 million Btu annually, and a five-year savings of nearly $250,000. 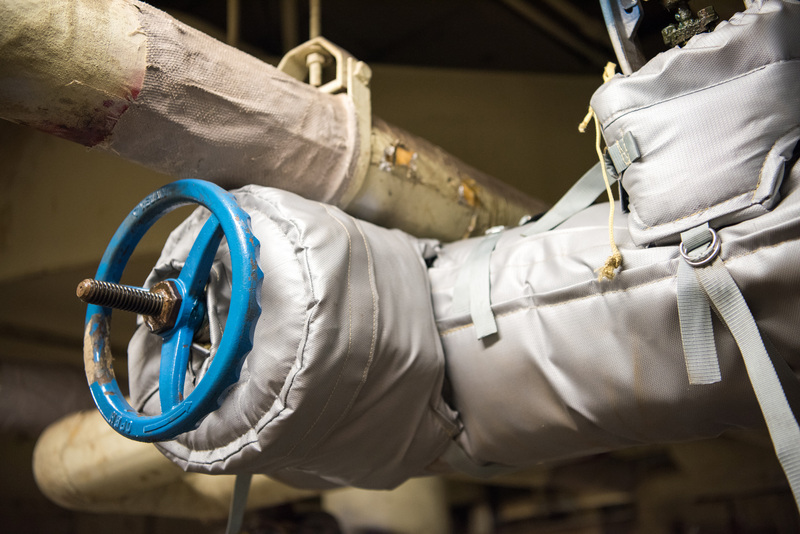 Safer working environments: The external temperatures of many of these pipes exceed 350 degrees Fahrenheit; with the jackets on, that goes down to about 120 degrees, reducing the risk of injury and significantly reducing ambient room temperatures. Asset management: Each of the 660 insulation jackets installed has its own unique QR code, which connects to an app that allows facilities management staff to monitor their maintenance. The installation of these jackets represents a major step for New Paltz toward meeting the goals laid out in Governor Andrew Cuomo’s Executive Order 88, which calls for a 20 percent improvement in the energy performance of state government buildings by April 2020, using state fiscal year 2010-11 as a baseline. 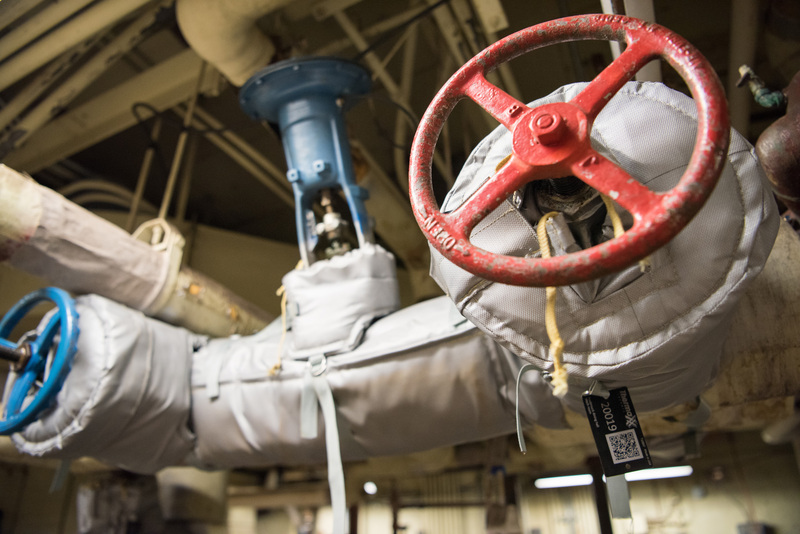 Piping insulation was among the many energy conservation measures articulated in the College’s Energy Master Plan, published in February 2016 in accordance with EO88 requirements. Click here to learn more about sustainability at SUNY New Paltz.